Science Fairs are well underway, pretty soon students will be off to state competitions and if they do a good job presenting their ideas potentially national level exposure. 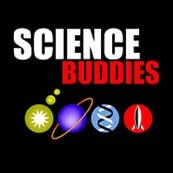 If you are looking for a solid go-to resources for your students or for your science & engineering class, check out Science Buddies. I am impressed by the quantity of materials this web portal organizes and how relevant it is to both in- and out-of-school learning. You will also find links to connect with science experts and starting points for learning about STEM careers.